It almost feels impossible to do anything resembling a "review" of The Tree of Life. That's what I said to my friends when I left the theater last night. I mean, I've waited so long to see it. Ever since the project was announced, I thrilled at the idea of seeing Terrence Malick tackling the creation and meaning of the universe. Years and years passed by, and finally I got to see it last night. The fulfillment of a decade's worth of anticipation. At the theater the ticket girl warned me that they've been issuing a lot of refunds to people who, I guess, wanted a more conventional drama. As it is, I can't see most Americans having any patience for a film this meditative, esoteric, and philosophical. The film was more thrilling and beautiful than I ever could have imagined it would be. Since I have been somewhat reticent as of late to actually do reviews of the movies I enjoy, I'm going to follow my more recent pattern of just doing a point by point discussion of the things I noticed about the film. 1. The movie was more theologically oriented than I expected. While The Thin Red Line was an asthetic experience that prompted viewers to ask themselves the big questions of life and evil and war, The Tree of Life was more upfront in its insistence that there is meaning in the universe and that there is a creator who reaches out to His creation. 2. Some reviewers seem to have taken to interpreting the film in an almost purely philosophical framework. I will admit that simply looking at the film as a piece of theology is not completely adequate, but the movie cannot be understood in strictly abstract categories. (One of the best, most detailed reviews I've seen is here. I don't agree with the reviewer's general indifference to theism, but he has not let any of the Old Testament symbolism get past him, which I greatly appreciate.) Without a theistic outlook - and especially (at the end of the day) the Christian one, where grace is ever present, then the film becomes merely a textbook on Heiddegger. The film itself has a tremendous amount of Bible in it. As I recall, the film opens with a passage from Job, and I recall after young Jack commits a sin he essentially recites Romans 7:19-20 word for word. I'm pretty sure I heard some Dostoevsky and Thomas a'Kempis in the film as well. I know there was more, but I really should have taken a notebook and pen when I was watching. 2. The film opens with Job 38:4, 7: "Where were you when I laid the foundations of the earth?" So the film opens with God asking the question of where you were. The mirror question is reflected throughout the film as the characters via esoteric (that word will probably be overused) voiceovers witness the death of a boy at a swimming pool. Characters often ask God, "Where were you?" A common lament. But the core of the film remains God's insistence from Job 38:4, 7, that He laid the foundations of the earth and that it is He who owes no response to humanity but Himself. 3. After one of the boys dies, their grandmother attempts to comfort by offering all that she has - tired cliches which bring no comfort at all. "Life Goes on...the Lord gives and the Lord takes away...Time heals all wounds...Nothing stays the same...At least you have the other two boys..." The acting in the film is so skillful on the part of Jessica Chastain that I felt a tremendous desire to have answers to these questions without cliches or mantras - and also to simply know when to comfort with words and when to shut up. 4. The creation sequences of the film were among the finest and most beautiful things I have ever seen on the big screen. It's even more amazing to consider that these things happened so long ago, and only God was there at the time to see it. He created for His own pleasure - what a thought. 5. Emmanuel Lubezki deserves an Oscar for his work on this film. I'm just saying, it's amazing cinematography. 6. A very insightful friend of mine came to the film with me. 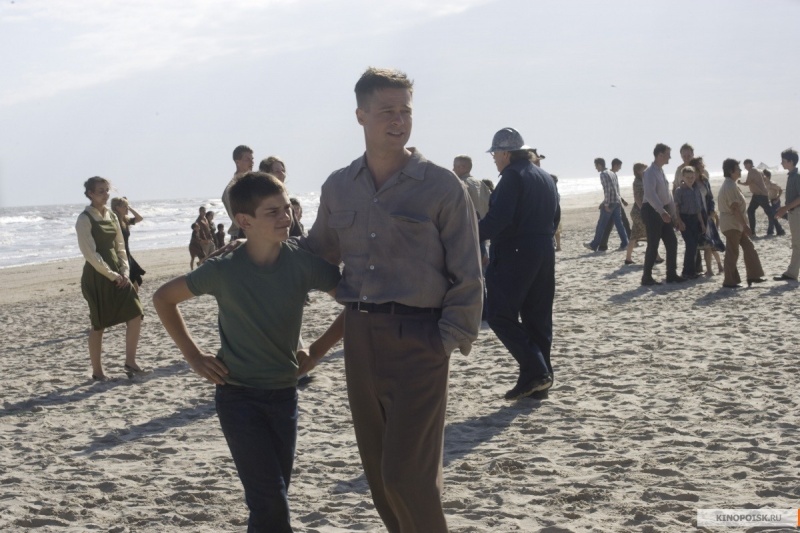 He knew nothing about the director, Terrence Malick, and had never seen any of Malick's films before. When the film was done he asked if he was an Episcopalian. I said yes, that's exactly what he is (Malick attends an Episcopal church in Austin, TX). When I asked him how he knew he said he couldn't put his finger on it; it just seemed like the kind of movie that his Episcopalian friends from college would have really enjoyed. I'm going to stop here, but I plan to see the film in theatres again in the very near future - perhaps then I will have more thoughts to share. However, there is a fine line between being brilliant and profound and being contrived and pretentious. I think that this film often played with that line. Do you think that is so? Were there any parts of the film that you thought, "oh, come on!" ... or as Monty Python would say, "on with it"! Thanks for the thoughts, Bryan. 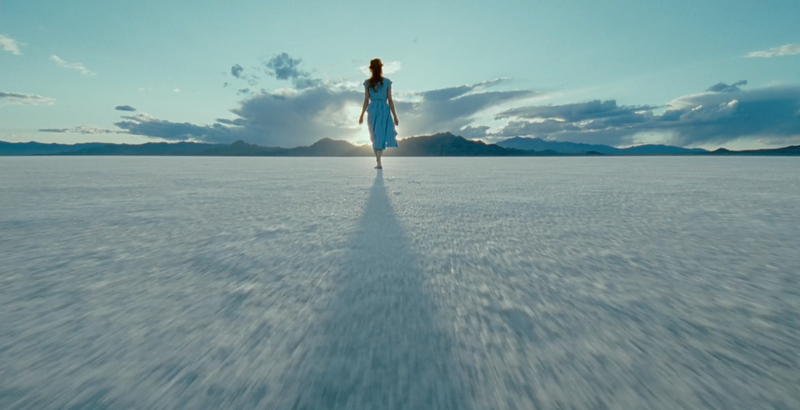 For me, it's all about how you feel about Malick's style in the first place. I can see how people do see his style as being pretentious. I generally find his style to be very much to my liking, so I'm very forgiving when it comes to the elements that I know others will find contrived, as you called it. But I hear where you're coming from. It's just a sheer matter of taste, as far as I'm concerned. But see, I'm not really a film auteur. I'm just somebody who was very touched by The Thin Red Line as a teenager and so I just always stuck with Malick ever since then. I look forward to hearing more thoughts from you on this Adam. I saw the film last night. Overall, I thought it did a tremendous job of addressing deep questions/themes in a mature, honest fashion. The very selective dialogue never seemed forced, as if the film were just an agenda driven essay, but genuine. I think one of the things that stood out to me most was the power of the juxtaposition between the main narrative and Sean Penn in the present. The images from the present are scenes we see in movies all the time - high-power business men in tall skyscrapers, doing what they do best - yet the subtext throughout those scenes was remarkably uncommon, and oh so rich. I agree with the review you linked to that the film was too honest to be pretentious. While I enjoyed the film and will definitely be studying it in the future, I suppose I'm still waiting for that film that deals with things as poetically and honestly and powerfully as TOL, yet more biblically, to knock the wind out of me. Is Westminster a Garment or a Straightjacket?